The Hawkins Area Guide - What makes The Hawkins so great? Where do The Hawkins locals go? I love its design and you get to experience a bit of culture walking from this pretty corner of Green Park to Hyde Park. This World War I monument is very impressive, even on a cloudy day. A local pub tucked away and open since 1818. It gets incredibly busy with people coming after work and is one of the most haunted pubs in London! They serve a fantastic beef Wellington too! Luxurious leather goods with a very high price tag, but perfect for special occasions and treats. Set alongside Chelsea's upmarket boutiques, Browns is the perfect place to pick up designer women's clothing. Stunning views across Hyde Park, fantastic service, beautiful food and a surprise birthday dessert! There's a shortage of good dog-friendly restaurants in London, however Pantechnicon absolutely nails it. It is certainly the best Sunday roast in town. A great selection of pubs and sandwich shops in a corner of Mayfair between Green Park and Hyde Park. Perfectly cooked lobster and burgers - a welcome alternative to restaurants serving similar dishes. Share your favourite place to go to in The Hawkins. 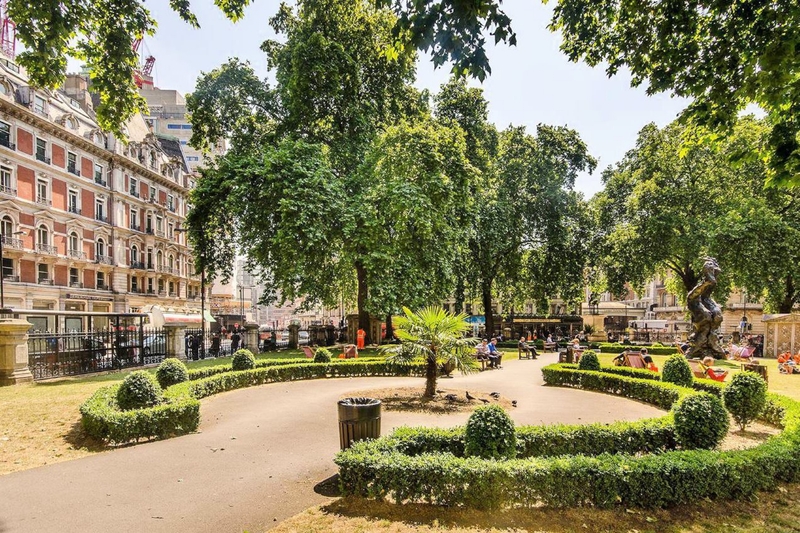 "Owing to its prestigious position close to Hyde Park and Buckingham Palace, Belgravia has been home to a wealth of well known people, including Margaret Thatcher, Roman Abramovich and Mary Shelley, to name a few." The grand architecture and public gardens around Victoria remind us of London's Victorian opulence. The architecture of Kensington breathes a historic aura that is unique to its streets..
London's beautiful back garden, Hyde Park offers an idyllic escape from city life. Do you live in The Hawkins, or have you lived in The Hawkins recently? If so, let us know what you like about living in The Hawkins. Feedback about living in The Hawkins has been submitted directly by the public and may not neccessarily reflect the views of Foxtons. The description of The Hawkins was modified from Wikipedia and is available under the Creative Commons licence. Land Registry data is Crown copyright. All the views and contributions contained within Foxtons Local Life are those of the contributors. All content is assessed before publishing for taste, however free opinion is encouraged. Foxtons accept no payment or sponsorship for content that is posted about The Hawkins.